Working as a real estate agent is not an easy job. As an agent in the real estate industry, it’s always a hit-or-miss setting wherein there are times that you’ll be able to successfully sell a property, and there are also times that you will not be able to convince a prospect to make a purchase. It’s just like any other sales talking between sellers and prospects, but the “products” on the line are not just any regular consumable, these are actually properties which may either be a house, a building, or a lot, and these don’t come at a cheap price. When people look for properties to buy, they need to consider a lot of factors before fully committing to it. These factors include the quality, the location, safety, accessibility, and the cost, of course. They need to make sure that these factors are met to prevent themselves from any long-term regrets due to dissatisfaction of the property being purchased. Most people can hardly do this task by themselves and will almost always require the advice and assistance from a professional, and this is where the agent comes in. When agents promote themselves to the public, they commonly make use of business cards and distribute these to their prospective clients or business partners. But when agents try to promote properties, they have a lot of tools to choose from. They can do it through the use of real estate flyers, brochures, banners, and catalogs. While flyers and banners commonly come in the form of single-paged advertising tools, brochures and catalogs come in multiple pages. But between brochures and catalogs, the latter holds more information, which is why it is the more ideal tool to use when advertising a lot of products. And if this is what you need, you are definitely in the right place. 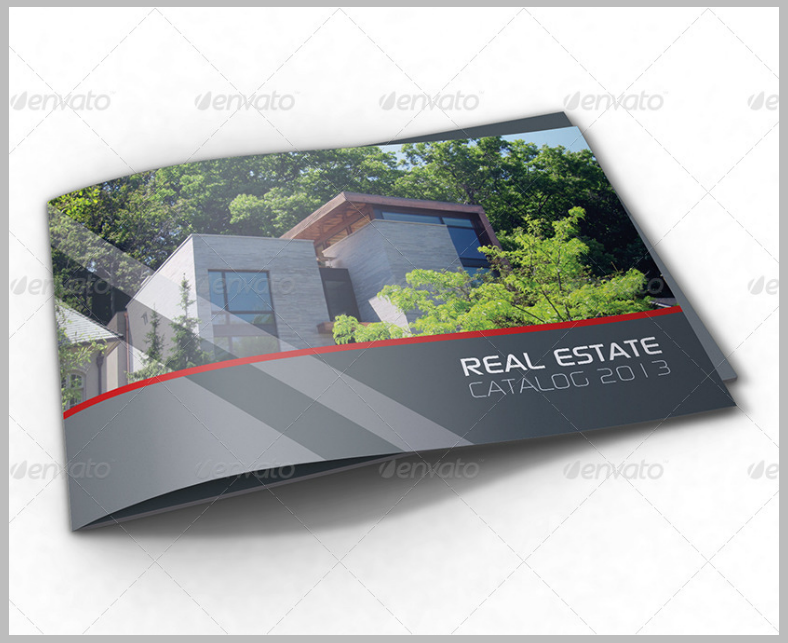 Check out the various real estate catalog designs below to get started. 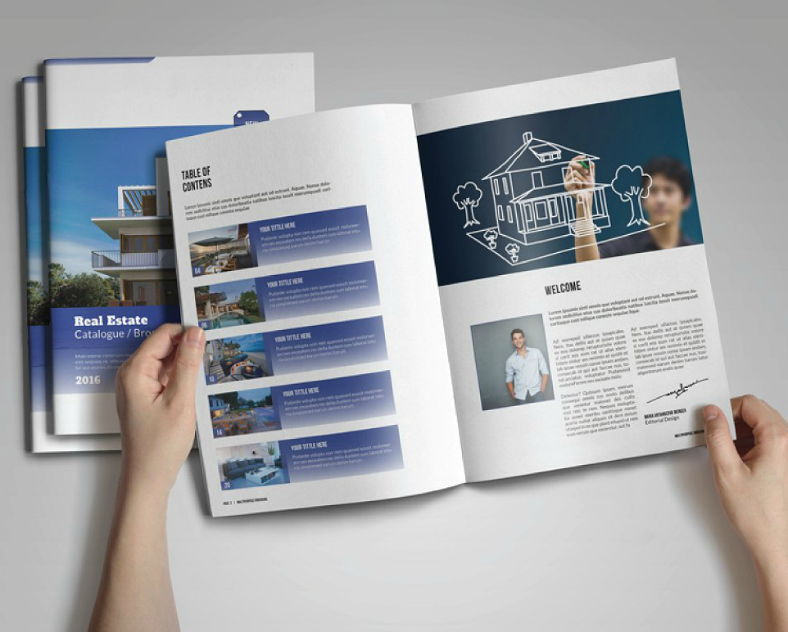 Here is an elegant real estate catalog design that effectively makes use of a brown and white color scheme, which helps in making the catalog appear clean and presentable. Also, the choice of font for this product catalog design compliments the color scheme and enhances the quality of this catalog. So, if the properties that you are trying to sell are more on the luxurious side, then this catalog design is a perfect pick. 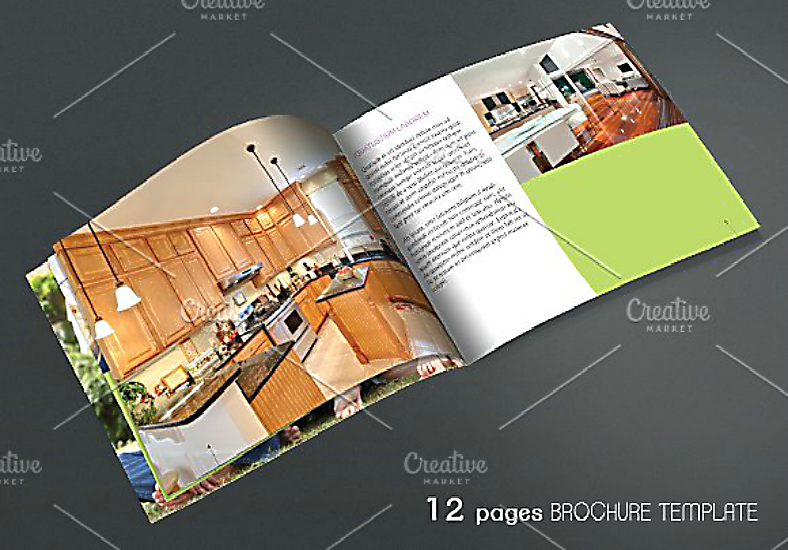 Here is a simple real estate catalog design that maximizes their use of each page by filling it corner to corner with images of the property. But to be able to pull this off without making the pages look cluttered, limit the number of images per two pages by three, and when writing descriptions, provide a semi-opaque text box that is clear enough for the text to be legible. 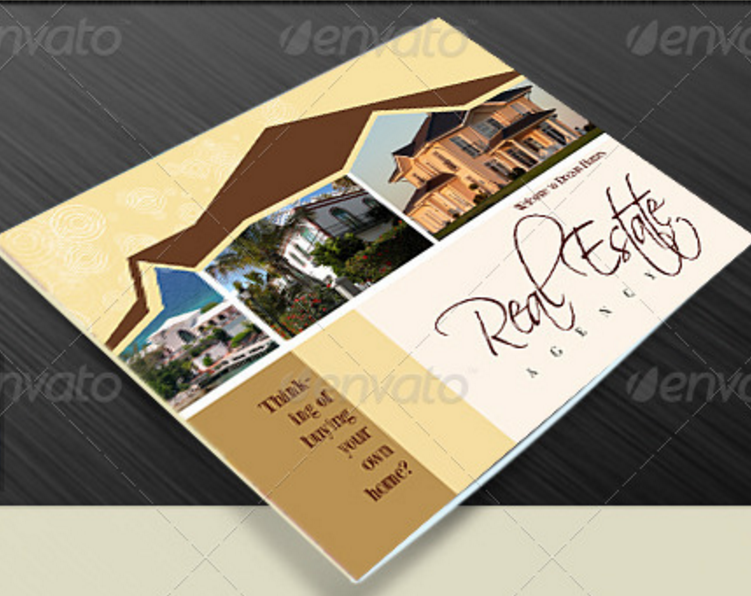 With this design, you may also be able to make effective marketing brochures specifically in the real estate industry. Before we get to defining what real estate agents actually do, let’s start with who they are. Real estate agents are actually licensed professionals who act as a representatives in real estate transactions between buyers and sellers. And with regards to their duties and responsibilities, it is actually varied from agent to agent and will depend primarily on who they are working for, whether it is the buyer or the seller. There are also very rare cases when agents actually work for both parties, but this will depend on the state laws because not all states allow this. For agents who work for the buyer, they help their clients in searching for available properties while taking into consideration the budget and preferences of their clients. On the other hand, for agents who work for the seller, their main task is to market the properties through advertising, networking, or even listing services which will record the property and its owner in a common database that buyers can look into. What Is a Catalog and Why Is It Useful? A catalog—oftentimes spelled as catalogue—is an advertising tool used by many businesses for grouping together various products and services in hopes of convincing prospects to make purchases. Catalogs commonly categorize their products in order to make it easier for the reader to navigate. For each product, it will usually contain images, a short description, and its corresponding price. And along the last few pages of the catalog, the seller or the business who created the catalog will write down their contact details for the convenience of the readers who wish to make inquiries. 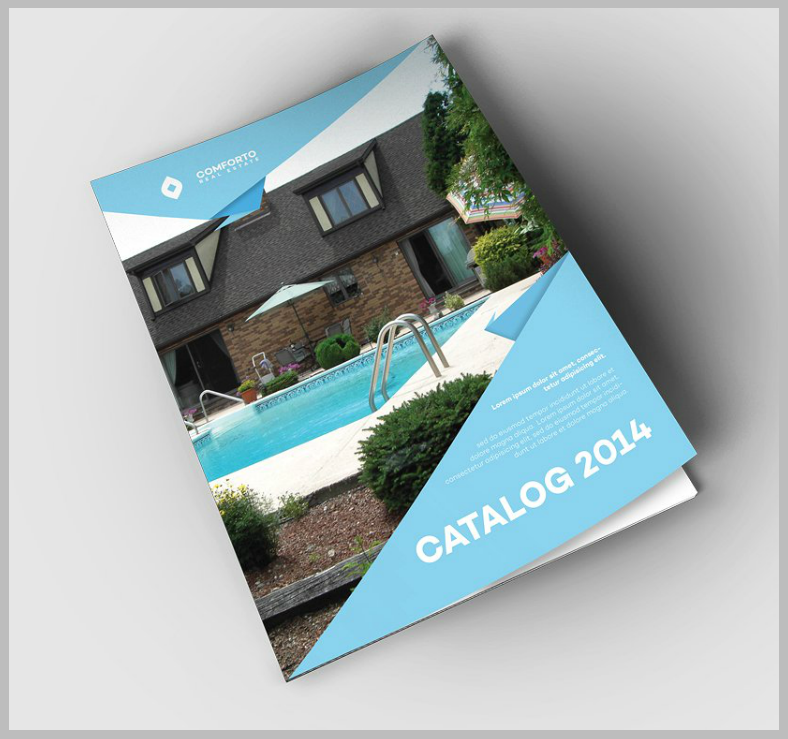 Catalogs come in both printed and online forms, but both serve the same purpose. We all want our world to be as green as it can be, and we can do this by planting trees and keeping existing ones healthy. Having a green planet will not only make our environment beautiful to look at, but it can also help in contributing to many of the resources that we use every day. If you are an advocate to having a green and healthy planet, why not promote the cause while trying to sell properties? 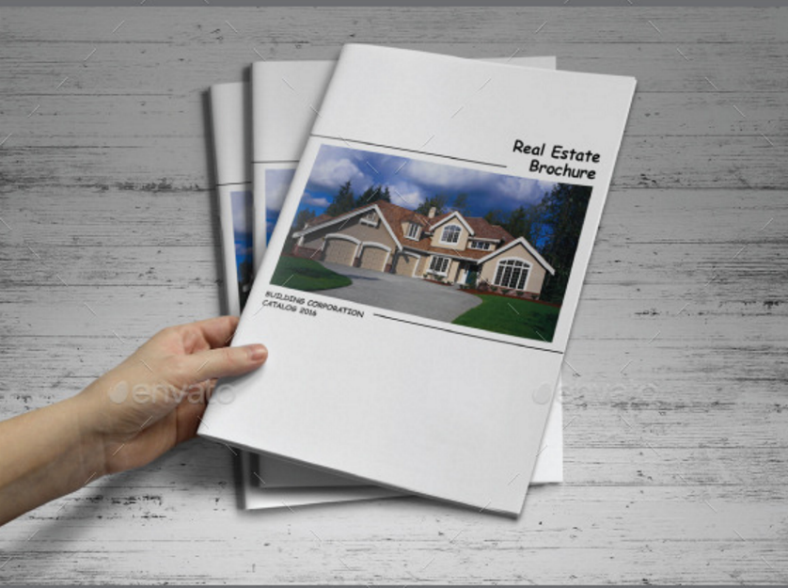 You may be able to do just that by using this beautiful real estate catalog booklet design. As much as possible, make the design of your catalogs eye-catching, with visually appealing images of the products being advertised, and make the content well-arranged. While the catalog is for the business’s benefit, it is created FOR the audience. So set aside most of what the business wants and focus on what the general public is looking for. The size of the catalog also matters. Take into consideration the number of products you want to feature and adjust the size of the entire catalog. Just make sure that the products and its supporting information or description are large enough. Evaluate the performance of your catalogs every single time so you’ll know how and where to improve the next time around. 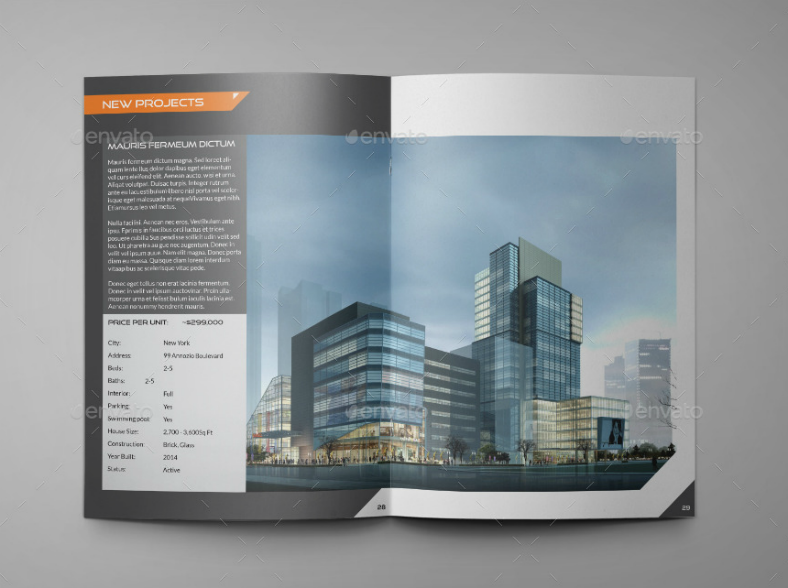 For real estate agents specializing in the selling of apartment units rather than houses, here is a business catalog design specifically tailored for that purpose. 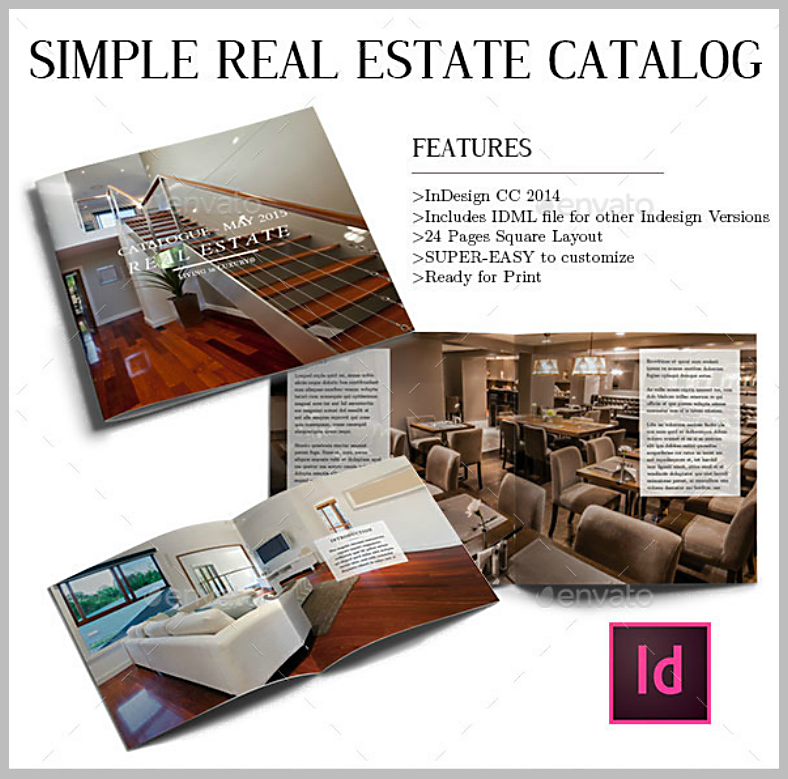 There are pages on this catalog that feature multiple apartment units, and there are also some pages that feature full-scaled images, but the latter is only applied when showing the exterior of the property. The color scheme chosen for this design is kept simple, with only two shades of gray as the most dominant colors, and orange for a few text boxes. First impressions last, so DO save enough space for writing a short but catchy headline. DO write a very detailed description about the products being advertised. Be concise with the description; after all, you do want your readers to buy from your catalog, right? DO research about effective and enticing sales techniques, and use these to fully convince readers to buy from your catalog. DO keep the design of your catalog simple and uncluttered, and leave enough white space for the readers to take down a few notes. DON’T shy away from putting your contact details more than just once. It’s actually better to add your contact details on multiple pages to make it convenient for the reader. DON’T forget to inform the readers regarding discounts and promos, and make this information stand out. DON’T forget to include instructions on how readers can make purchases. 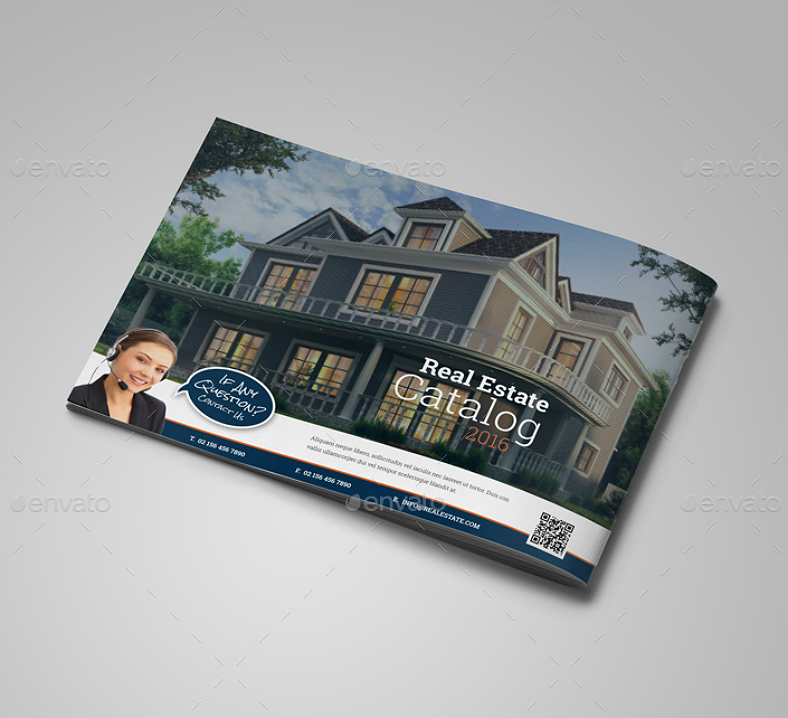 Here is another very simplistic real estate catalog design that can also be used as a real estate brochure, depending on the number of properties being advertised. For this one, each page features a single image of the property that does not occupy the entire sheet and leaves a big enough space for the necessary descriptions and information about the property. Though there are also a few images here that take up two pages, but still, the image does not fill up the entire page and leaves enough room for the supporting information. 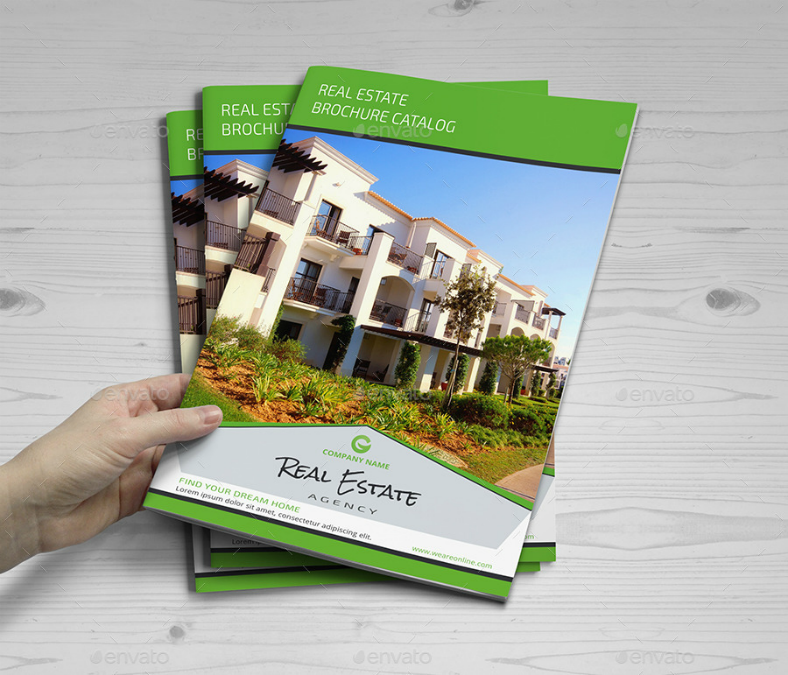 So what did you think of the real estate catalog designs that we have to offer? Were you able to find a particular design that works for you? 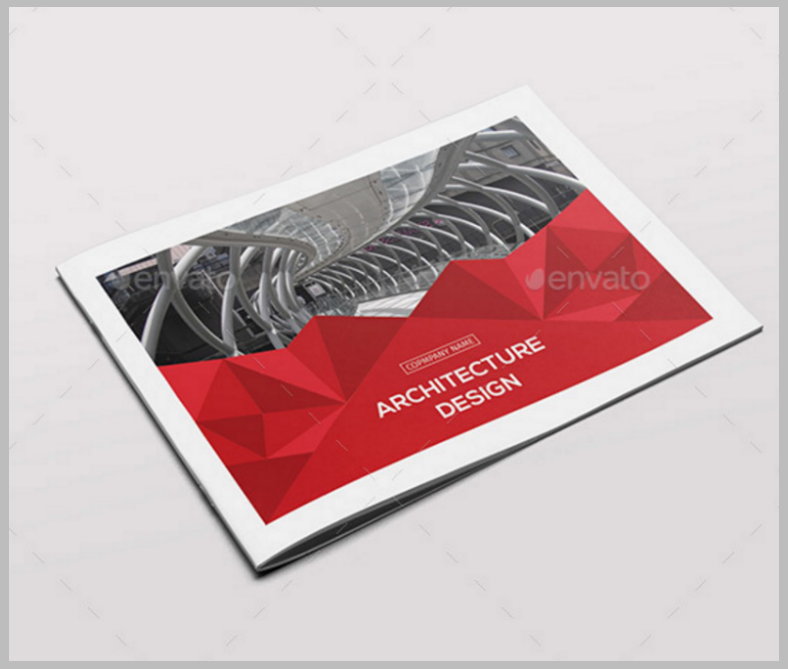 For one thing, these catalog designs come in very effective and organized layouts, and also in superior resolution. When gathering up these designs from multiple sources, we made sure to pick out the most stunning ones from hundreds of available designs to be able to provide our real estate agents with catalog designs that are foolproof. But aside from just being foolproof from its exterior features, it also needs to be just as good on the inside, and what do we actually mean by that? We are actually referring to its capability of being edited. 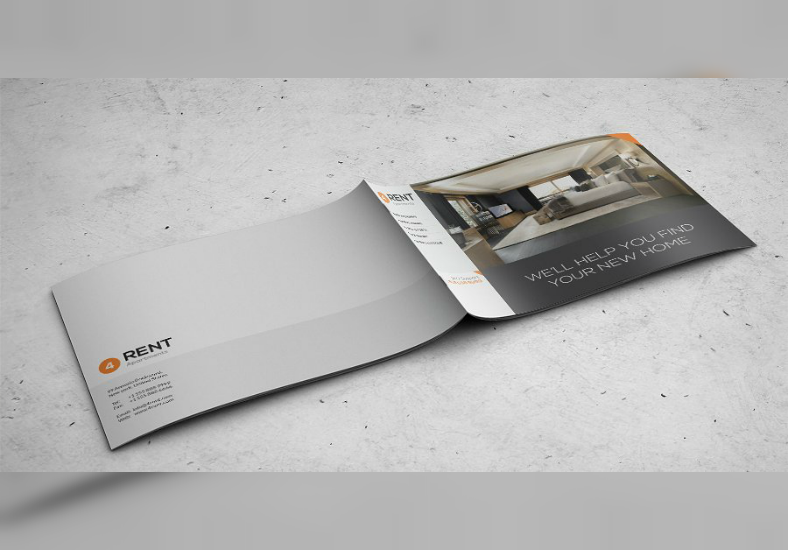 A good design template should be fully editable, and thankfully, our real estate catalog designs are not only good, but they are great. Because these designs are in the vector format, they are fully editable, and they are also capable of retaining their sharpness. This way, you won’t have to worry about putting a limitation to the extent of your modifications, you can edit as much as you need on these designs without ever compromising on its quality. Is it starting to sound like all this is too good to be true? Is there any catch for downloading any of these catalog designs? Fortunately for you, there aren’t. Our goal here is to provide high-quality and very effective designs to our clients at a very reasonable price, and that is what we are actually doing here with our real estate catalog designs. So whether or not you are tight on the budget and are looking for an efficient catalog design to promote your products, don’t hesitate to download any of the ones that we have to offer.